Wilfred ‘Monty’ Montroy, passed away peacefully in his 92nd year at Hogarth Riverview Manor on Friday August 24, 2018. Wilfred was born in Glen Nevis, Lancaster Township Ontario on June 6th, 1926 and found his way to Thunder Bay in the 1940s where he resided until his passing. He was employed at the Prince Arthur Hotel for many of his working years until his employment at the Landmark Inn commenced and there he remained until his retirement. He was a devoted husband, father, grandfather and great grandfather. Wilfred is survived by, and will be sadly missed by his sons James (Margaret), Timothy (Dana), and beloved grandchildren, Amara, Adam (Denise), Kevin (Lindsey) and great granddaughter Cora Ann. He was predeceased by his wife Angela (nee Scali), his parents, siblings and numerous other relatives. As per Wilfred’s wishes there will be no funeral services. Cremation has been completed and a private family internment will be held at a later date. In lieu of flowers the family respectfully request memorials to the Thunder Bay and District Humane Society or an animal rescue organization of your choice. The Montroy family would like to extend a sincere thank you to all the staff on the 2nd floor south at Hogarth Riverview Manor for their excellent care and compassion shown to Wilfred. 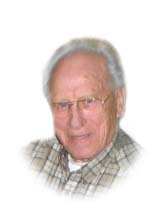 Wilfred Montroy will be remembered in the Blake Funeral Chapel Memorial Grove. Annual dedication service Sunday, June 9, 2019.